Chocolate and orange. Is there a better combination? Well, besides banana and chocolate. Or peanut butter and chocolate. The point is, there’s chocolate involved. So it’s an awesome combination. And chocolate and orange IS one of the best. There’s obviously just too many amazing combinations when chocolate is involved! 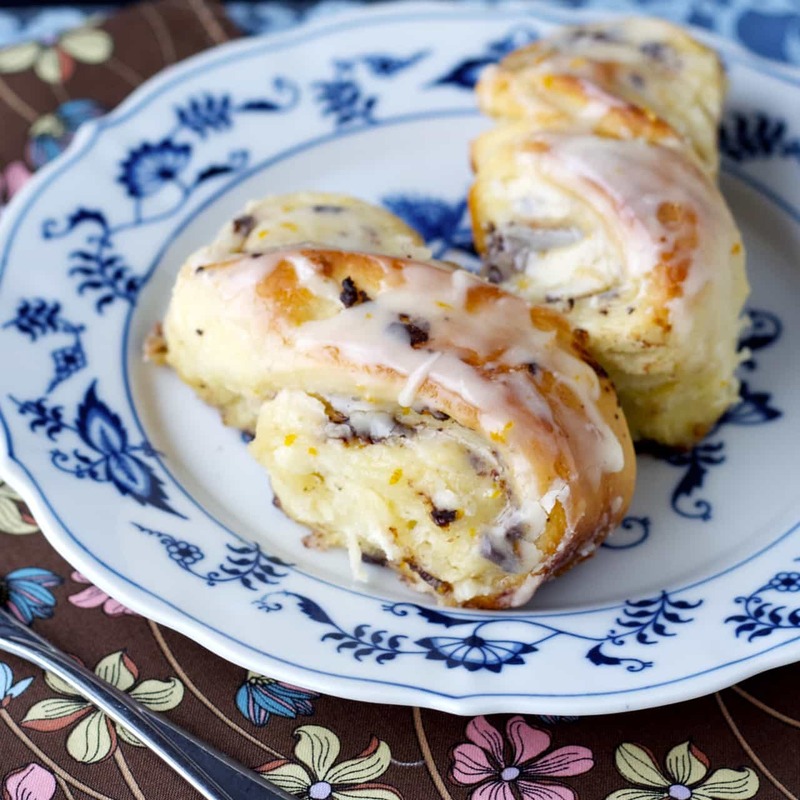 In this case chocolate and orange are combined in an amazing soft and fluffy sweet roll twist. These rolls are easy to make. If you haven’t worked with yeast much, don’t be intimidated. It’s not difficult. In fact, it’s kind of amazing watching the magic happen when working with yeast doughs. I love it. It really is almost magical. Yes, I am a bit of a nerd. I’ll admit it. But seriously, how fun is it, watching bread dough rise? It’s totally cool. Or maybe just biology geeks like me enjoy that? Let me know if everyone enjoys these things, I’m kind of curious. Maybe it is something to do with my background in biology, but I really love working with yeast. And a lovely little side benefit of that is sweet rolls like these! 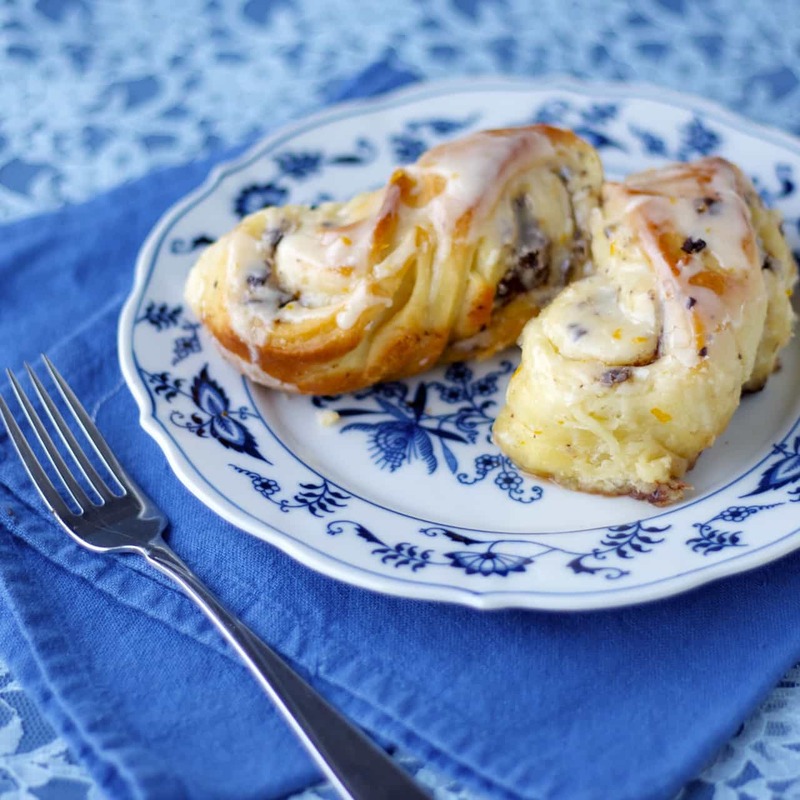 I started with my favourite cinnamon roll dough for these chocolate orange sweet rolls. I have tried a lot of different cinnamon roll recipes in my day, and this one is hands down the best. I’m pretty sure I won’t be trying another one. Ever. And that’s saying something since I don’t make too many recipes over and over again. I enjoy trying new things too much. But my hunt for the perfect sweet roll dough is over. This is it. It makes amazing cinnamon rolls, and absolutely decadent chocolate orange sweet rolls. With a divine orange glaze drizzled on top. These were soft and fluffy and chocolatey, everything you want in a special sweet roll. You can even make them ahead of time and refrigerate for up to 2 days, until the morning you want to make them. Then pull them out, let them warm up for a half hour or so, and bake. 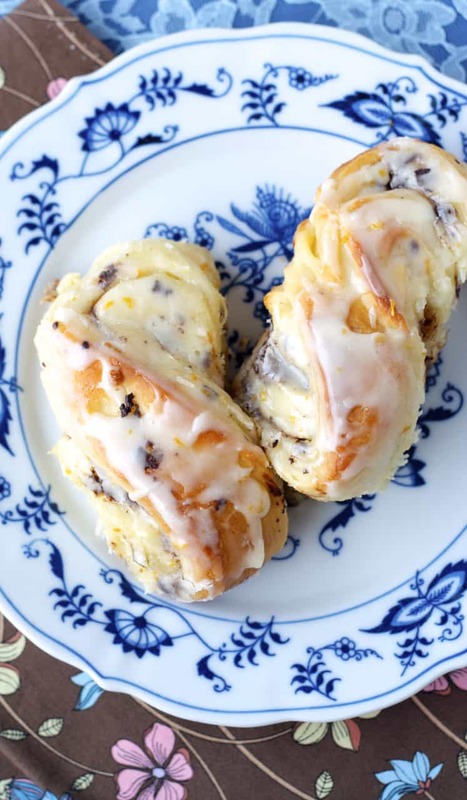 Hot, amazing sweet rolls for breakfast. Make these for a special occasion. Or just a special Saturday. It’s fine. You deserve a treat. And these are definitely worth it. I also shared these chocolate orange sweet rolls over at Cupcakes and Kale Chips, so make sure to check out over there as well! Note: There are several options with the rising and baking of these. You can shape the rolls and then refrigerate for up to two days, pulling them out 3-4 hours before baking to allow them to rise. Or you can let them rise immediately after shaping and then refrigerate for up to 2 days, pulling them out and allowing them to come to room temperature, 30-60 minutes, before baking. Or you can let them rise immediately after shaping and then bake right away. Source: Dough from my cinnamon buns , filling and glaze adapted from Mel’s Kitchen Cafe . Chocolate and orange are just so good together right?! Thanks Christina! Chocolate and Orange is a fabulous combination! These sweet rolls look absolutley amazing!! Haha, yeah that's pretty good too! :) Thanks Jim! The perfect looking pastry. I'd love to have these around the house and get my family hooked on them. They look amazing! These chocolate rolls look amazing! I might have to concoct a peanut butter glaze for mine! haha well I am right there with you in my nerdiness! I LOVE watching yeasted dough rise and see it come together! These sweet rolls sound amazing! Chocolate + orange really is such a great combo! Glad I'm not the only one! I love it! :) Thanks so much Ashley! Stacey!! are you trying to kill me? Gahhh I can't stand this, I want it in my mouth like right now! Yum! Orange n chocolate are 2 of my favorite things! I am dying! Pinned. Chocolate and orange is such a fantastic combo! These sweet rolls look incredible, Stacey!! Love the glaze! I'm a huge fan of chocolate and orange! These rolls are fantastic, Stacey! Thanks Jen! I'm a huge fan too, it's so good! This is one of my all time favorite combinations Stacey! These rolls look beautiful and delicious! Great for dessert to breakfast! Thanks so much Mira! Chocolate and orange is such a great combination right?! Wish I had one to go with my coffee this morning! Me too! Unfortunately they're all gone! Thanks Jessica! Chocolate and orange is such a great combination, Stacey! These rolls look amazing! So creative. This would definitely make a perfect breakfast or dessert!